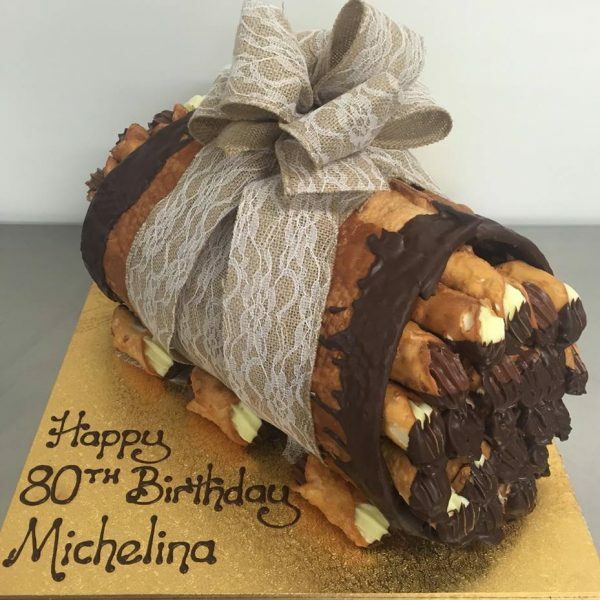 A giant cannoli shell with the ends chocolate dipped. 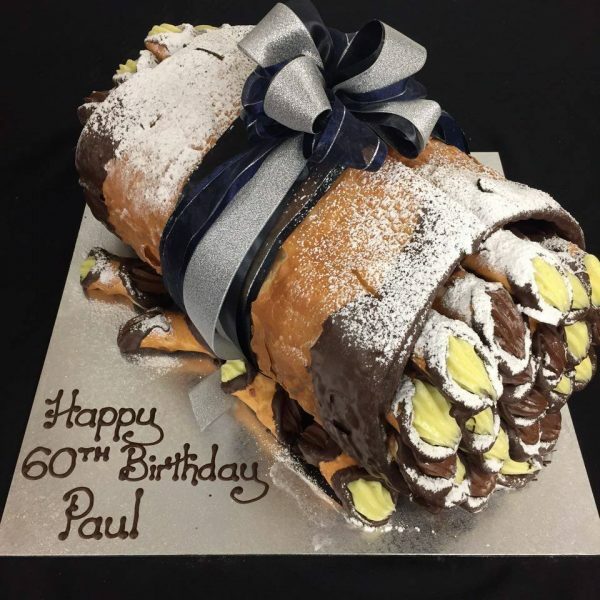 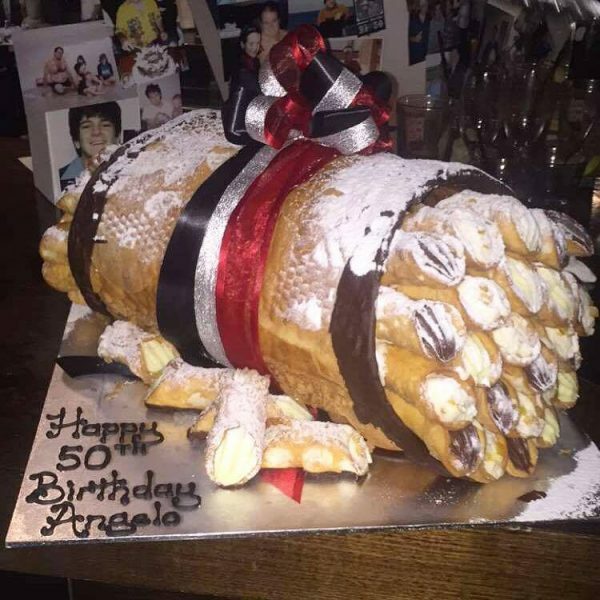 Filled with 50 mignon chocolate dipped custard cannoli. 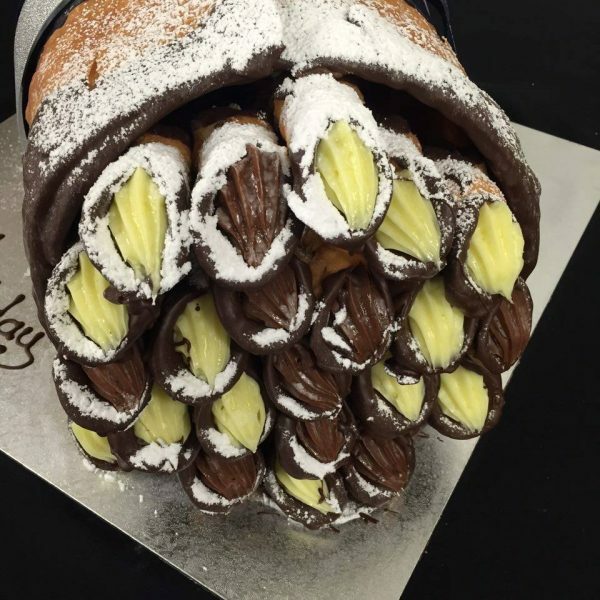 Dusted with icing sugar and topped with a ribbon arrangement of your choice.